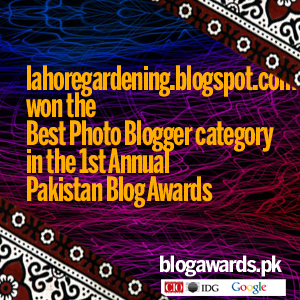 In this edition i will share with you the flowers which are currently blooming in lawrence garden (bagh-e-jinnah) lahore. Remember this is garden bloggers bloom day post and for others gbbd posts go to May Dream Gardens and check out other beautiful blogs showing some marvelous blooms from all around the world. So here goes the flowers of Amaltas,Gul mohr, neelam and fragrant ixora. 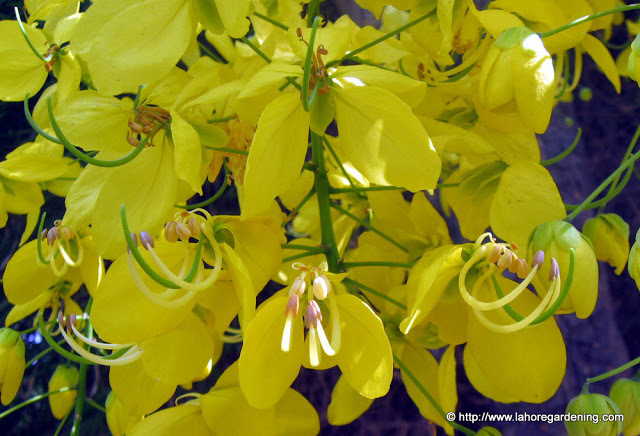 The first one is cassia fistula or amaltas. Very drought tolerant tree and blooms freely in this heat of over 110F. 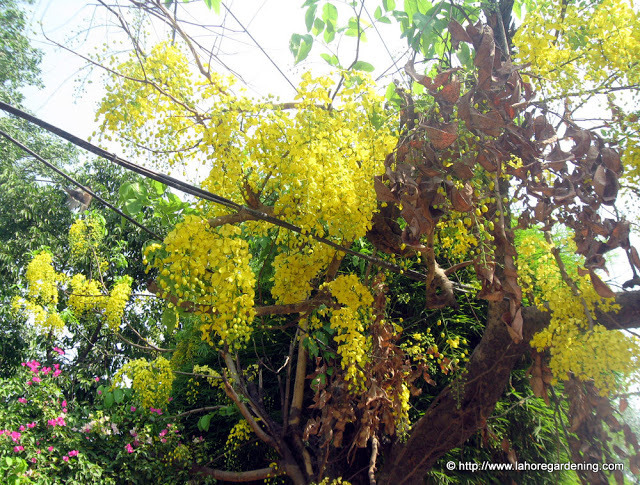 A common street tree with masses of yellow blooms. At this time when not a lot of trees are blooming, cassia fistula gives eyes a treat to watch. You will lots of these trees in india and pakistan. In lahore a lot of specimens are planted on mall road. 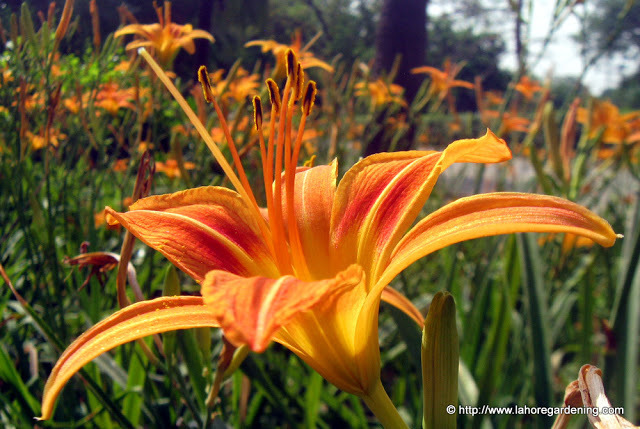 Day lily is another common sight in lahore these days. There are mainly three varieties available here commercially. The yellow one which is cheapest, the orange one which is most common and the red one which is most expensive and slightly fragrant as well. Botanical name is Hemerocallis. And there are tons of cultivars and colors but here only these three are common. Some nurseries do sell other colors but at high rates. This is a perennial plant in our climate although flowers only in late spring and summer. The tree is probably one of world’s most beautiful trees. 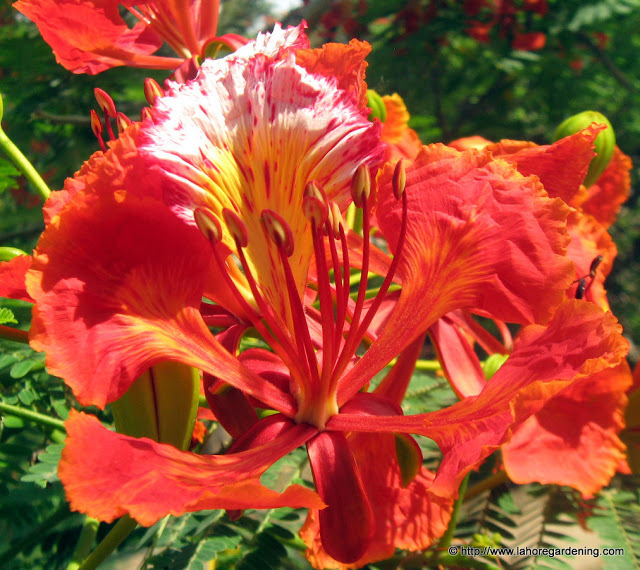 Having botanical name delonix regia but more famous with common name Gulmohar and flame tree. 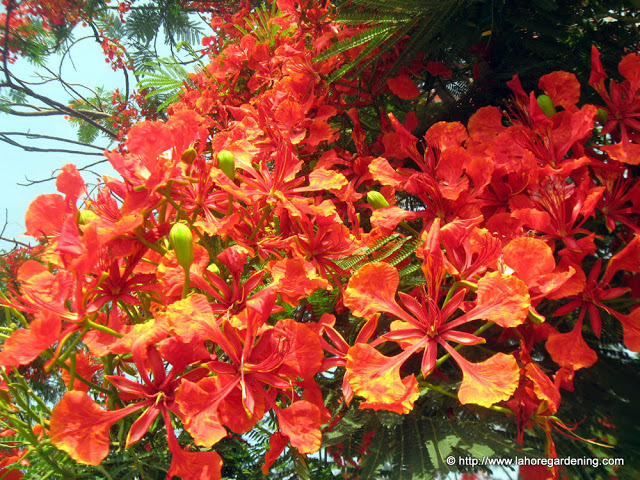 It is indeed a sight to watch when in bloom as it produces hundreds of flowers and looks like the tree is on fire. If you look closely at the bloom it has very interesting shape like that of a claw.It changes its color with the passage of time. Remember this tree belongs to the pea family. 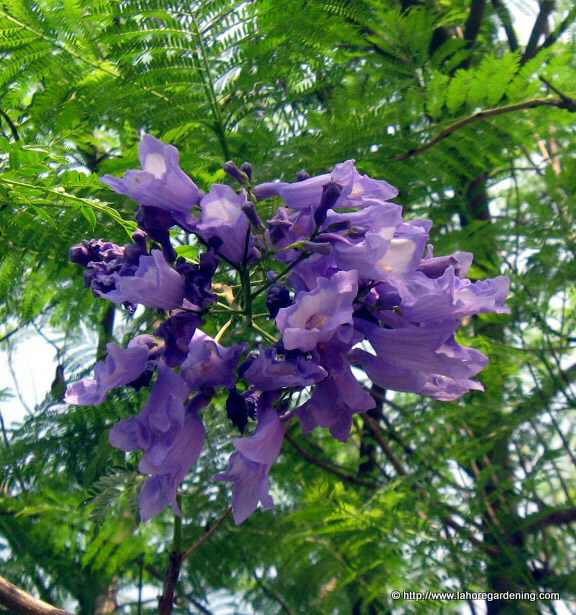 Here is what i would call the remnants of jacaranda and i belongs to the famous bignonia family.Remember tecoma?, yap same family.It was in full bloom in spring and whole tree was covered with blue flowers but now only some are left on the tree. 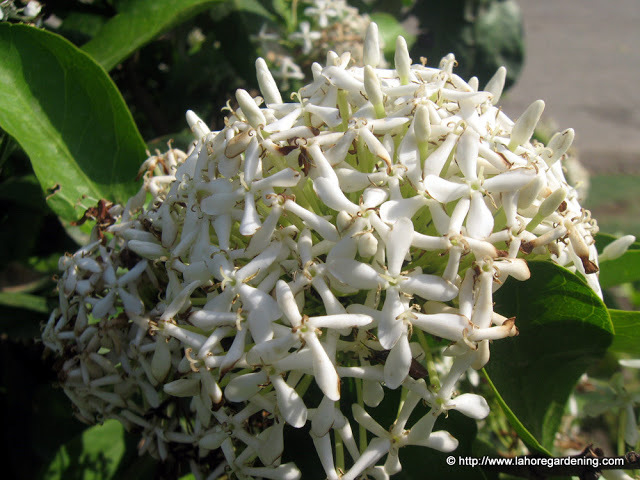 This fragrant ixora having botanical name ixora parviflora is also at the end of blooming in lawrence garden. What a scent!!!! And now some blooms from my terrace a well. 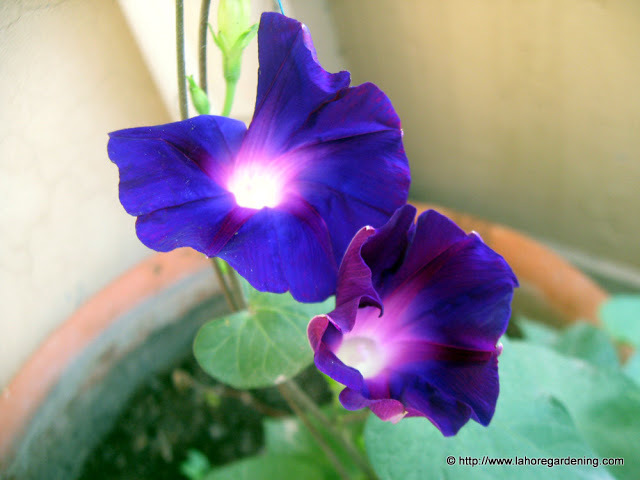 This morning glory the hardiest of all, blooms much earlier than other varities. I planted 3 various colors and will share with you as soon as other colors bloom but right now be content with this one only. And yes its botanical name is ipomoea purpurea. Day Lilies come cheap here but I quit growing them – the deer keep eating them to the ground. wooow, these are great! I love that cassia. I’d love to see those on the streets here. I completely enjoyed this wonderful post and these wonderful photos you posted of various stunning flowers, different shapes and colors. The only flower from this collection that I have in my own garden is Morning Glory which I love so much.It looks like there is light in the middle of its lovely flowers.